Roy Pitcher has been a schoolteacher, educator and trainer of teachers, author, consultant, inspector of schools and educational video producer over two generations at virtually all levels in the U.K. As a Christian teacher of religious education and pupils with special needs, he was concerned to find a basis for enhancing pupil attainment through multi-method approaches. When he became a teacher trainer, he developed the concepts and practices described here more widely across the curriculum and wrote and edited text books for schools. His qualifications were awarded by the universities of Manchester, Chester, Nottingham and the Open University. Roy lives with his wife in Alsager, South East Cheshire, UK. Although now “officially” retired he is currently active in producing multi-method religious education teaching materials. Roy is happy to be contacted by email or phone. Please find his contact details on the Contact page. A brief curriculum vitae provides an indication of Roy’s background experiences. Roy Pitcher BA., MEd., Adv.Dip.Spec.Needs, Dip.Res.Meth. A teacher of R.E. End special needs at KS3 –5 (1959 – 1969)..HoD. A teacher trainer/educator at undergraduate and masters degree levels – pre-service and in-service (1969 – 1979) Crewe and Alsager College of Higher Education. 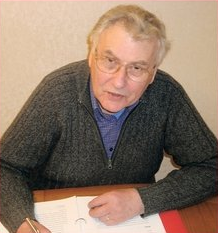 Originator, author/editor of RE, history, geography and science textbooks for KS3-4 (35 titles e.g. the Developing World Series pub. Longmans 1965-76). A religious education consultant (1992 – 2002). OFSTED inspector of schools in religious education and special needs (1993 – 2005). DES teacher assessor (1995 – 2004). Research into using Lego to promote literacy and numerous see in primary schools and special needs in secondary schools (2006 – 2008). 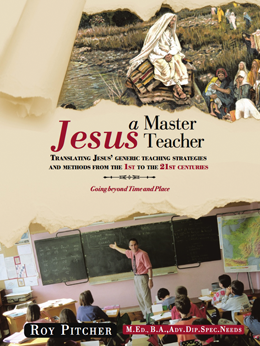 Research and writing ‘Jesus, a Master Teacher’ (2008 – 2012). Publication of Jesus – a Master Teacher (2014). The whole principle of this development of my work could be summarised in the word Diakonos (or servant) because service is the fundamental motive of the provision of the website.